Elías Carballo - Industrial Electricity - BECA. The BECA.org Foundation. Empowering Youth Education in Nicaragua. Hello everyone! 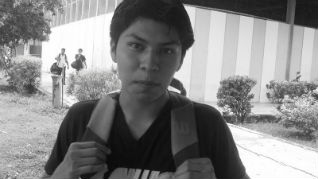 My name is Elias Carballo, one of the people that are members of the big family BECA.org. I will tell you how I got into BECA.org, the foundation that opened its doors to make my dreams come true. I live in a beautiful town of Masaya that is called San Juan de Oriente; since I was a little child I fought really hard to get things done by myself. The most common source of job in my town is the elaboration of objects made of mud, and always there was a piece of mud to make. By making pieces of mud, sometimes my family and I could pay some bills. When I finished high school after 11 years of effort and I got my fifth year Diploma I thought it was the biggest thing I would get because I did not have the enough money to pay a major at the university since at that time I had three younger siblings. So it meant there was no money. After a long, I was not studying, and my sister was part of BECA.org, so she told me about technical careers that beca gives to people, at that time I did not think of that because I wanted to go the university. But after a time I decided to go to BECA.org’s office to get further information. I was one of the 25 selected ones, on April 5th, 2010 it was my first day of class in a computer lab where I studied for three months, then I finished it, and I volunteered in a public school. When I finished everything I felt proud of me because I had won my scholarship to study what I wanted to. When it was time to choose my technical career I did not like any of the careers, but after a time thinking and thinking I decided to study Electricity at INTECNA-GRANADA while I was studying I got good grades, and my coordinator sent me to do my practical studios at SINSA which is such a great company where I learnt lots of things, after doing my practical studios I worked in that company for 5 months. Currently I am working for a company that is called Suministros Electricos, now I do thank God for giving me the things I have nowadays. And I want to thank Walter because his dream has come true which is helping poor people in Nicaragua. I graduated in 2013, and I am so proud of myself. Three years of hard work were useful because now I have many good things, and this is what I say difficult things make you stronger, and other ones’ dreams take you to find yours, and your own dreams take to another one that makes you stand out and be focused in what you want to reach. Thank you BECA for teaching me good values and showing me a better road which is going to carry me away. I know we will be able to eradicate poverty because we are a different generation.